1. Have you learned more from success or failure? Failure. Because it motivates me to feel the success on the next attempt. Nana and Papa and Grandma and Pepa. Grandma still to this day tells the story of how I broke her heart the day I got out of the car and carefully pronounced Grandma instead of “Meemaw”, her preferred name. My parents are known as Sassy and Tito. Mom always wanted to be Coco, but when my eldest niece was born they had a cat named Coco. So somehow Sassy became her name. My brother is determined to call her Coco though. And my dad and his wife are waiting for the baby to get old enough to decide. 3. You’re invited to a luau. In keeping with that theme, what dish do you bring to share? Does pineapple upside down cake sound trite? I’d love to take taro boba, but it’s not luau food. 4. Besides Jesus, what one person’s life story do you think everyone should know? You know, there could be any of a few. I liked the answer of Hitler, so we remember what hate can do. But I also think people like Medgar Evers, or MLK Jr., or the Little Rock Nine for what they stood for and what they accomplished. Ryan White, as an example of how you can turn your experience around. Mother Teresa. Ghandi. So many. 5. “Don’t sweat the small stuff.” Agree or disagree? Some days. Some days it’s the small stuff that gets ya’. 6. June is National Rivers Month…when were you last on a river? What’s the prettiest river you’ve ever seen? What’s a river you’d like to see? I drove over the river today. Twice in fact. But I can’t remember the last time I played in one. 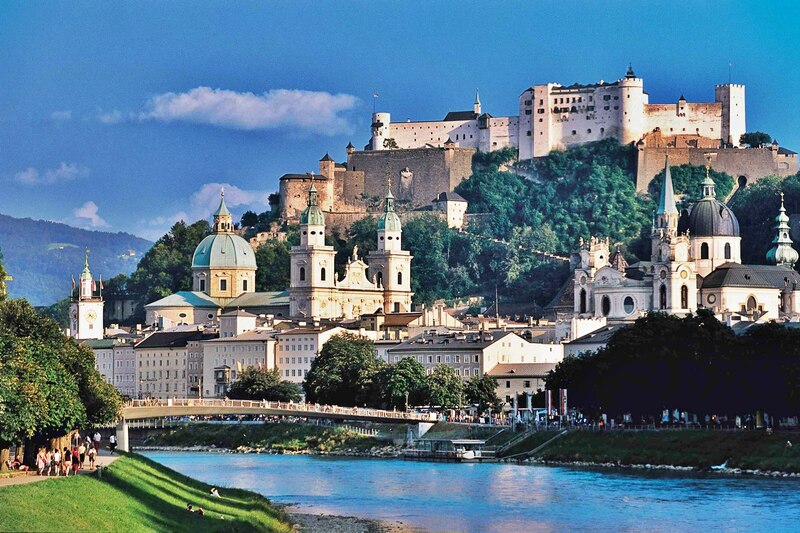 But by far, my favorite one is the Salzach River, running through the middle of Salzburg. On a more serious note, please remember the people in Dohna, Germany. The Elba River has overflowed again. When I was there two years ago, there was a marker on the wall from a flood a few years ago, and another one from 1954 that was about 12 feet high. This has surpassed the 1954 mark, and has shut down businesses, including that of a friends, and ruined homes. It’s a horrible situation over there right now. 7. Speaking of rivers-paddling, swimming, fishing, or bird watching safely from the shore? Which activity would you choose? Yes-you have to choose. Swimming. No contest. Would enjoy paddling or fishing, but swimming wins. I’m still ruminating on the wedding I attended this past weekend. It was such a lovely affair. Simple, and God focused. Beautiful. ← Aw, Man! I wanted easy!